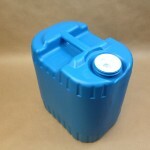 Our 5 gallon tanning booth solution drums come in blue, black and natural. Please be aware that the blue and the natural are food grade, the black is not food grade. 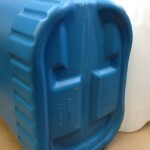 This drum is appropriate for both hazardous and non hazardous products with it’s UN rating of UN3H1/Y1.4/100. 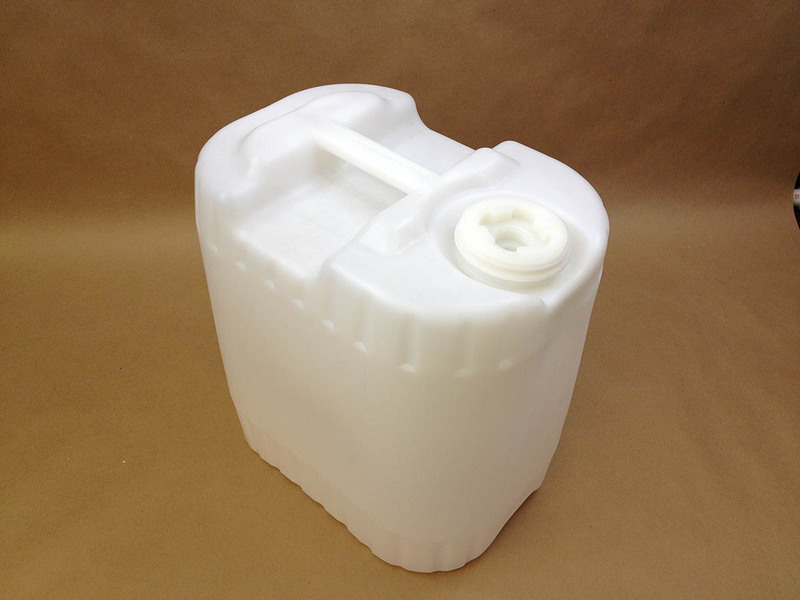 It is a great solution to small volume packaging requirements. 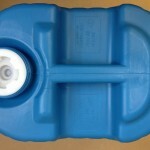 It is made from a single piece construction, with an integral handle. which provides handling strength and stability. 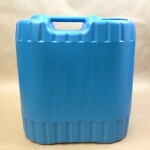 Use this drum to store and ship your airbrush tanning booth solutions. The rectangular shape minimizes storage space and the interlocking top and bottom design delivers stack strength and stability. 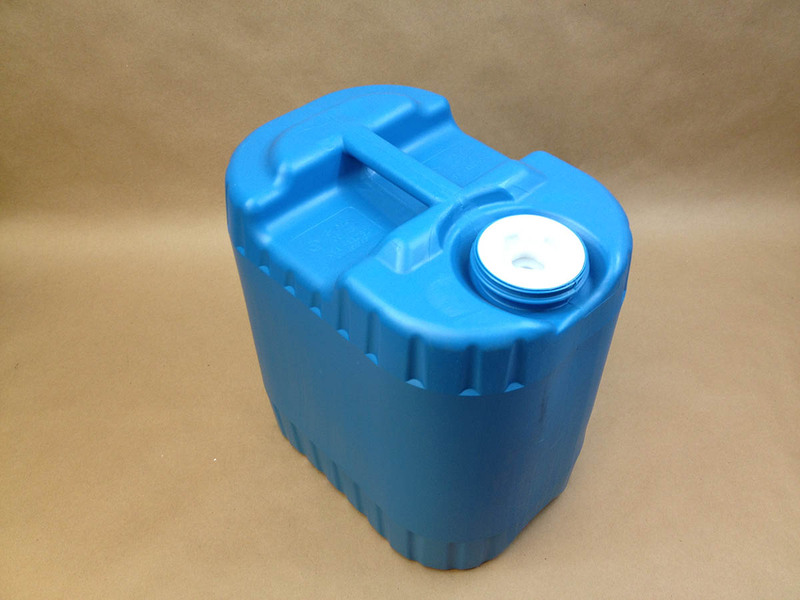 Our 5 gallon blue delex is a blow molded container with an integral handle. 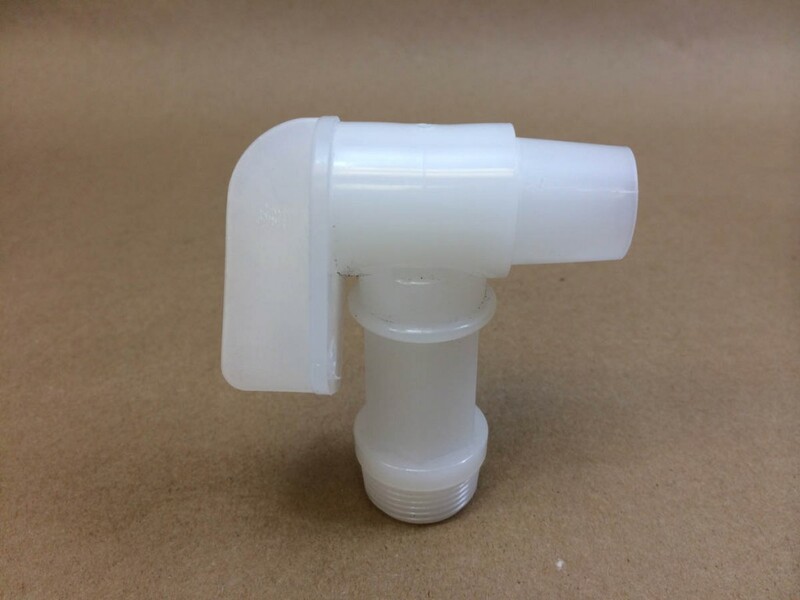 It has a 2" buttress plug with a 3/4" NPS (National Pipe Standard) reducer and is included. UN3H1/Y1.9/150 & UN3H1/Y1.4/100 when vented. This container is food grade. We stock this in blue, black (not food grade) and natural. Need a vented plug? Our Item # SPP-L10V-9WL is a 2" EPDM coarse thread microporous vent plug sold separately. 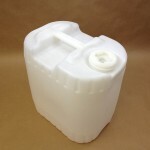 This is a 5 gallon natural blow molded container with an integral handle. The closure on this drum is a 2" buttress plug with a 3/4" NPS (National Pipe Standard) reducer and is included. UN3H1/Y1.9/150 and UN3H1/Y1.4/100 when vented. This container is food grade. Need a vented plug? Our Item # SPP-L10V-9WL is a 2" EPDM coarse thread microporous vent plug sold separately. 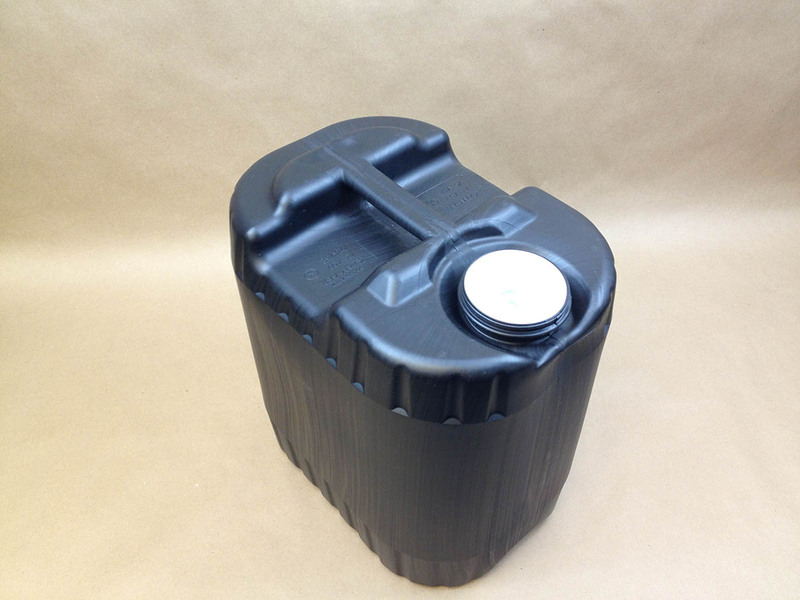 Black polyethylene is not food grade. 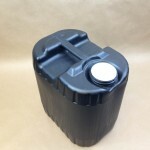 This is a 5 gallon black blow molded container with an integral handle. The closure on this drum is a 2" buttress plug with a 3/4" NPS (National Pipe Standard) reducer and is included. The rectangular shape and stackable design minimize storage space. UN3H1/Y1.9/150 and UN3H1/Y1.4/100 when vented While our black delex container is good for light sensitive products, please note that the 2" buttress plug is natural in color and does not block light. Need a vented plug? Our Item # SPP-L10V-9WL is a 2" EPDM coarse thread microporous vent plug sold separately. 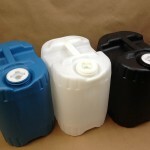 What Size and Style Plastic Drums Do You Sell?